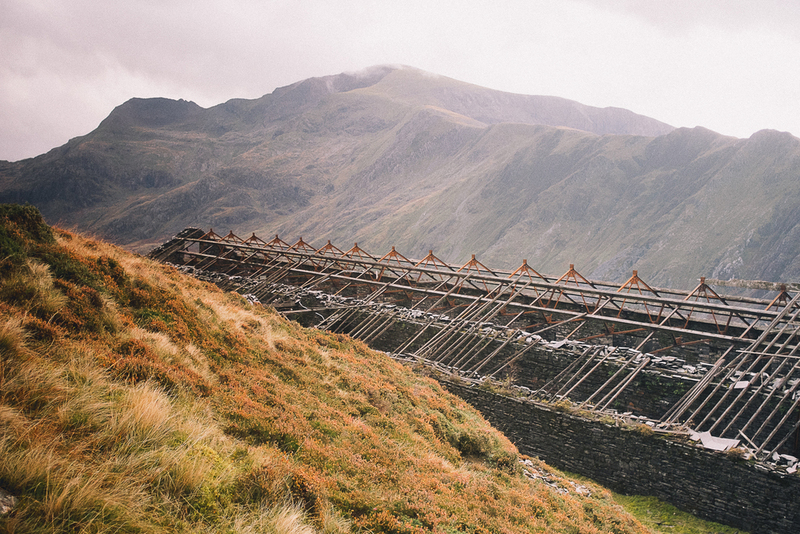 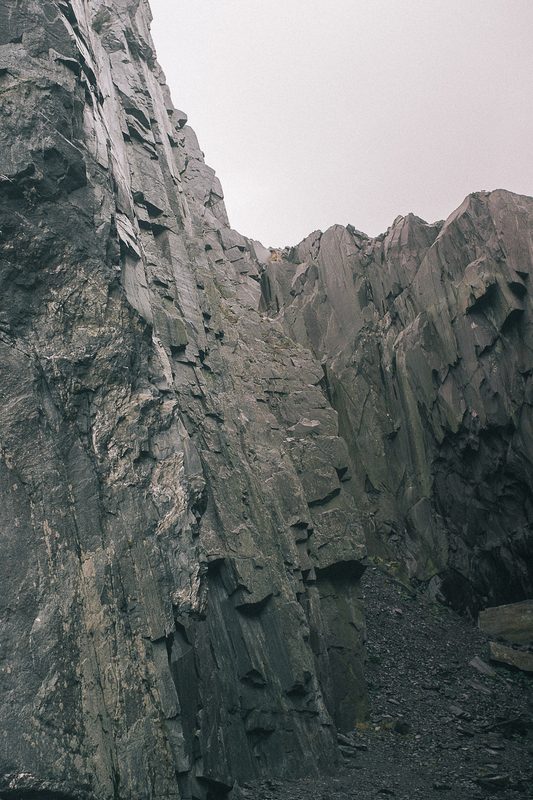 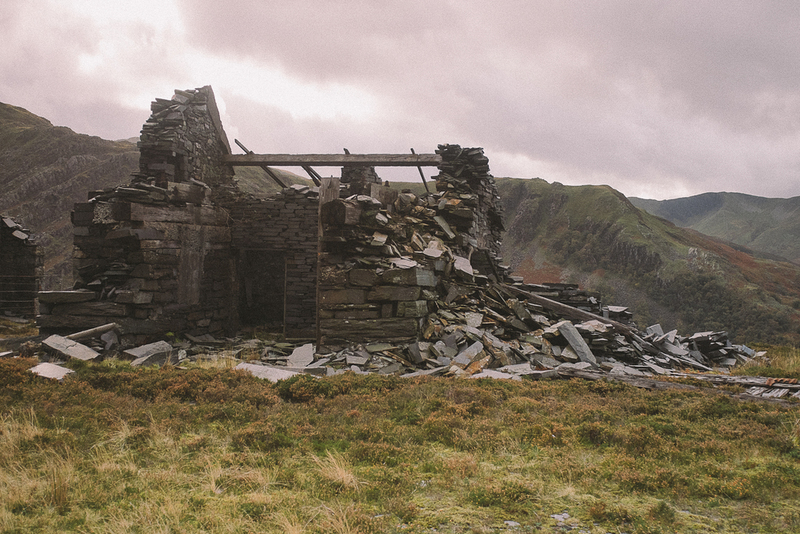 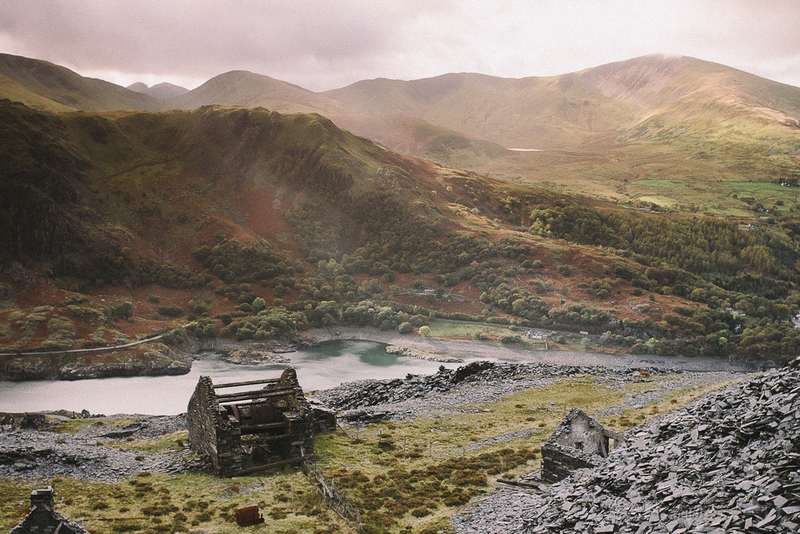 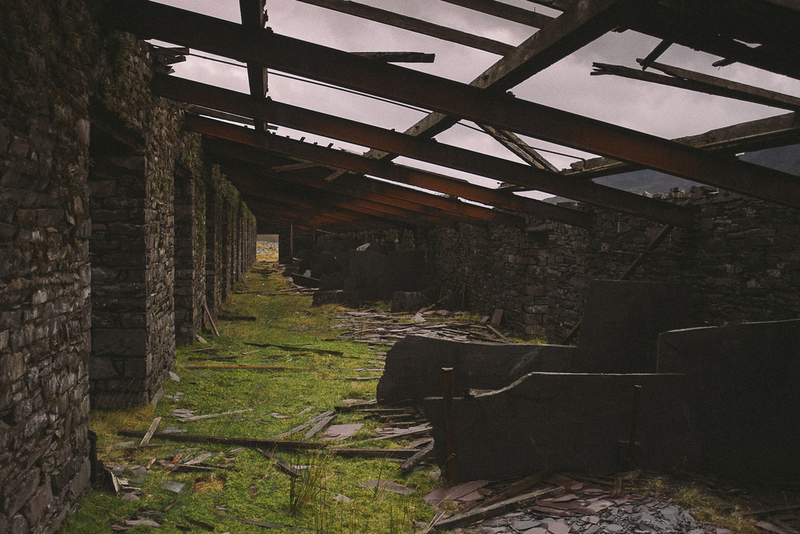 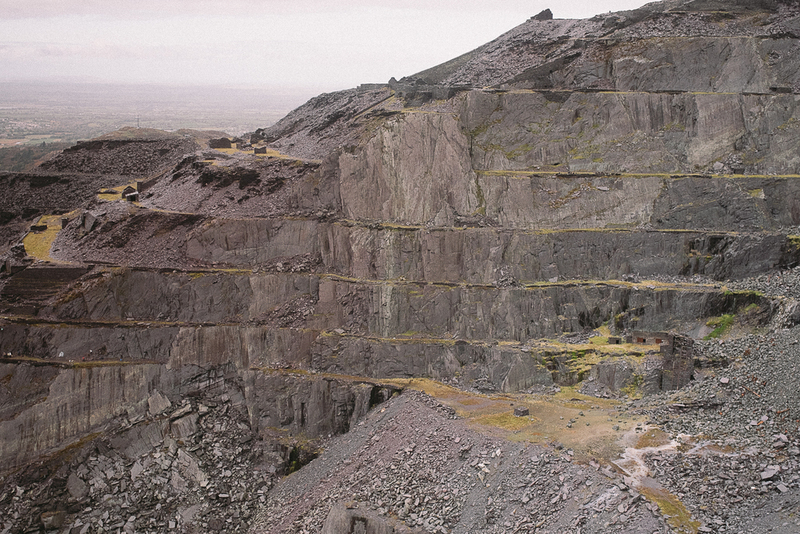 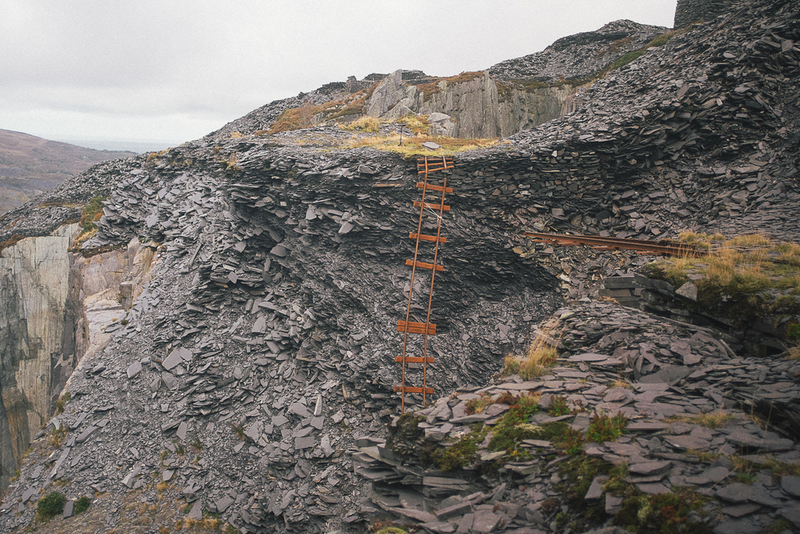 The Dinorwic slate quarry in North Wales - worth the epic walk up there. 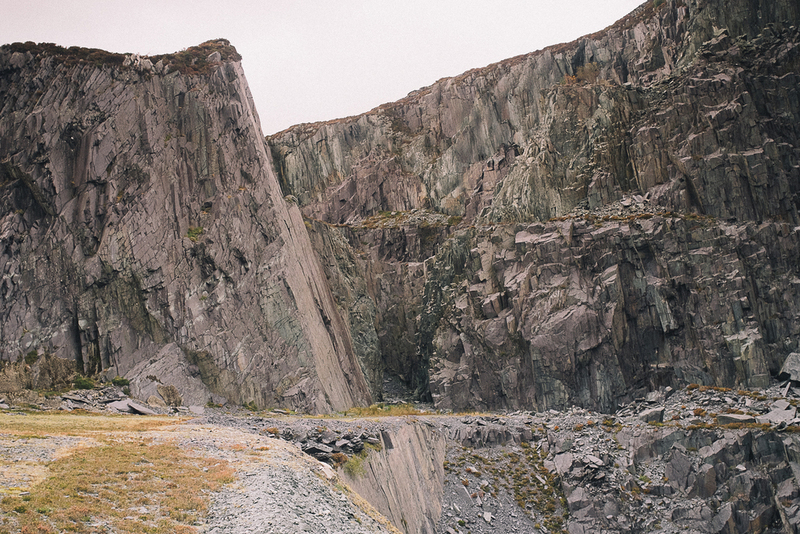 Just after I got back from Scotland I embarked on another adventurous trip to North Wales and the Dinorwic Slate Quarry that overlooks Snowdon, I headed up for a few days with my dad and before I went chose to photograph in an all together different way to how I usually work. 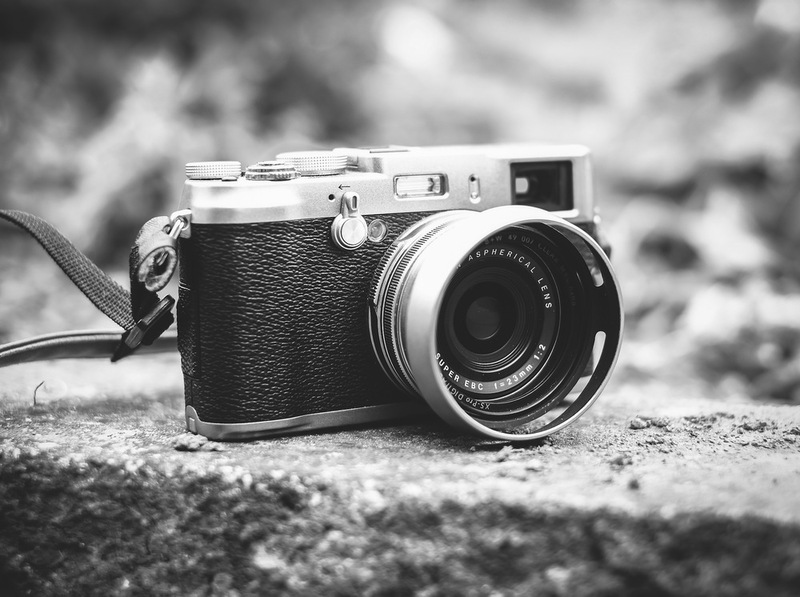 Manual was the name of the game and so I shot this whole series on manual mode with and old OM 28mm F2.8 lens, this setup gave me a nice small system while forcing me to slow down and really think about the photos I was making. 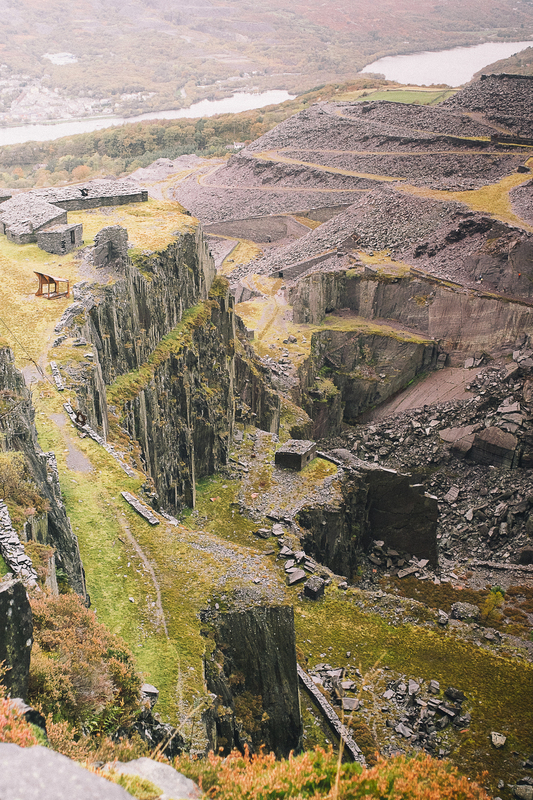 The quarry itself is home to many abandoned buildings, tracks and machinery, at the top all of the working are still there and a real treat to walk around. 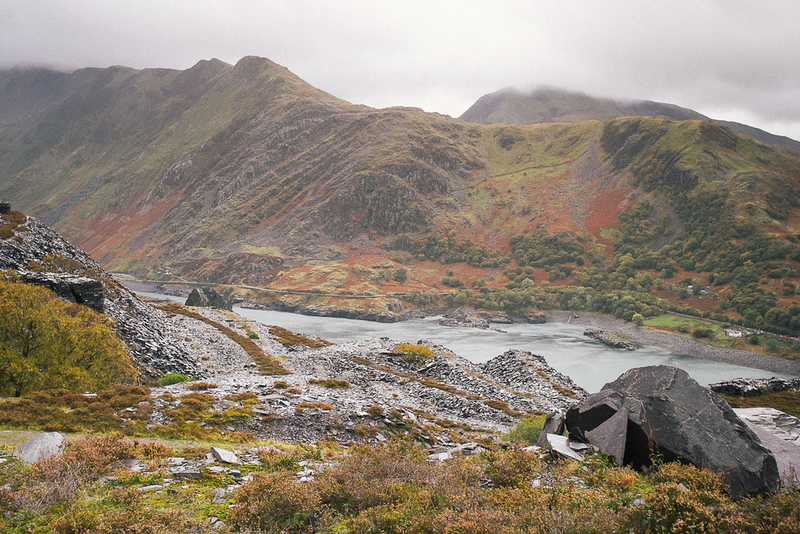 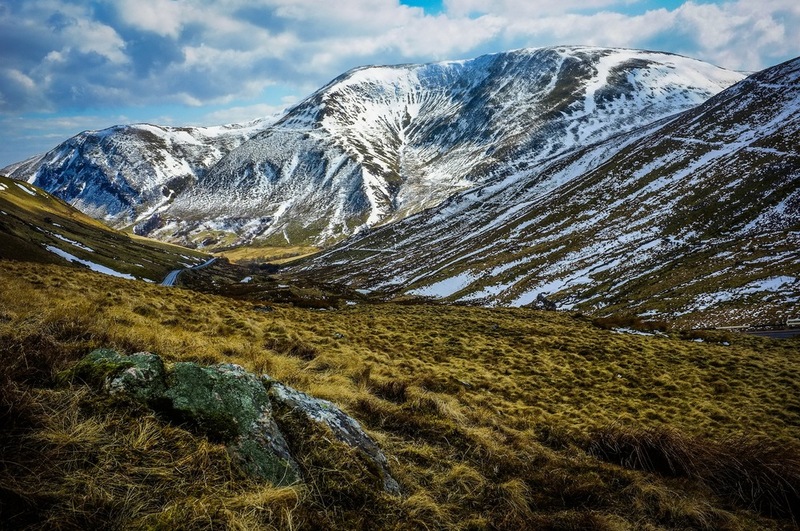 The walk up is not for the feint hearted as its incredible steep and rather dangerous, the several 'do not pass' signs and barbed wire fences are perhaps designed to put one off venturing upward but the rewards are most worth it. 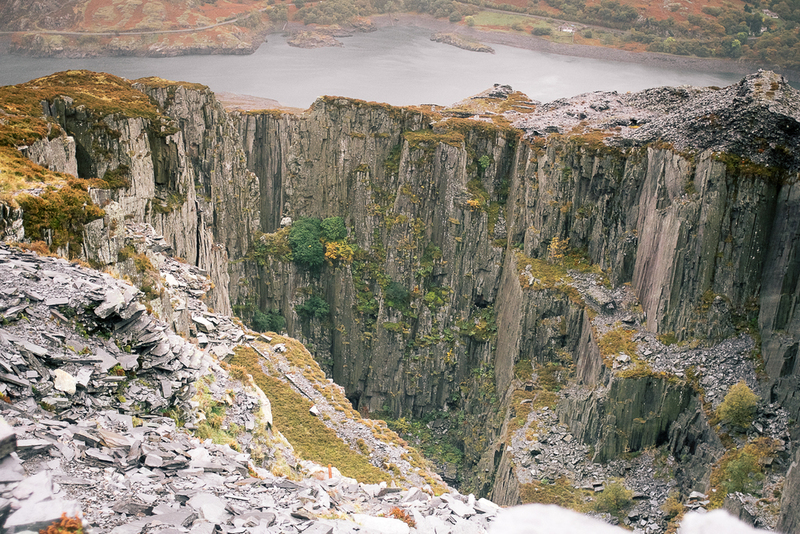 Sadly the quarry is not meant to be here forever and is slowing falling apart, very soon you'll not even be able to reach the top as piece by piece the slate falls back into the mountain, so if your ever in the area and feel like an adventure then this is the place to go, but be warned its crazy dangerous and one wrong slip and your gone. 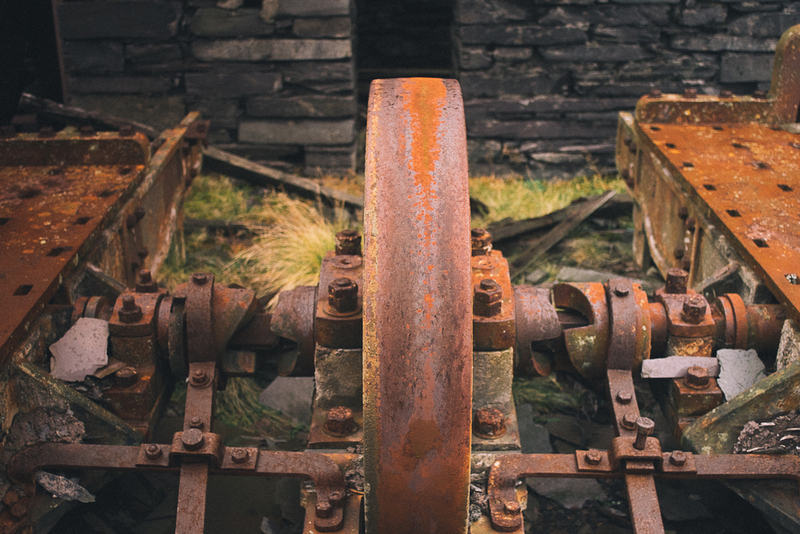 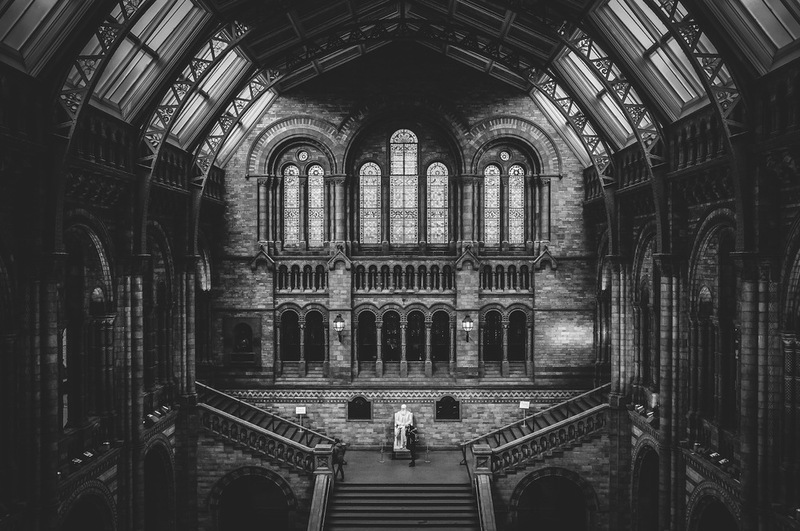 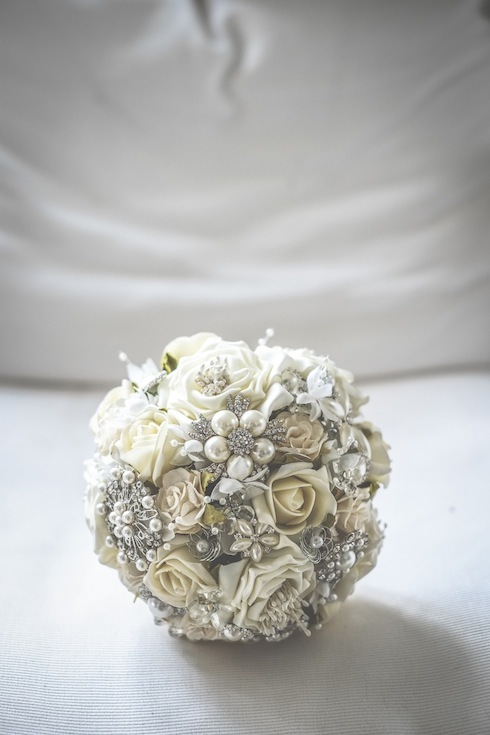 Fuji XE2 with adapted Olympus OM 28mm F2.8 lens + twisty grad filter, [I love twisty grad filters].